Located inside the PasarBella farmer’s market at The Grandstand, The Providore Deli carries a large range of artisanal cheese, charcuterie, olives, and antipasti. A range of platters and sandwiches are available to enjoy within the market or to take home.. Right next to The Providore Deli is The Providore Bakery. Featuring an open concept design, you can watch our bakers and pastry chefs at work producing all the breads, cakes and pastries for all our outlets. There is also a delicious range fresh from the ovens that is available for sale. 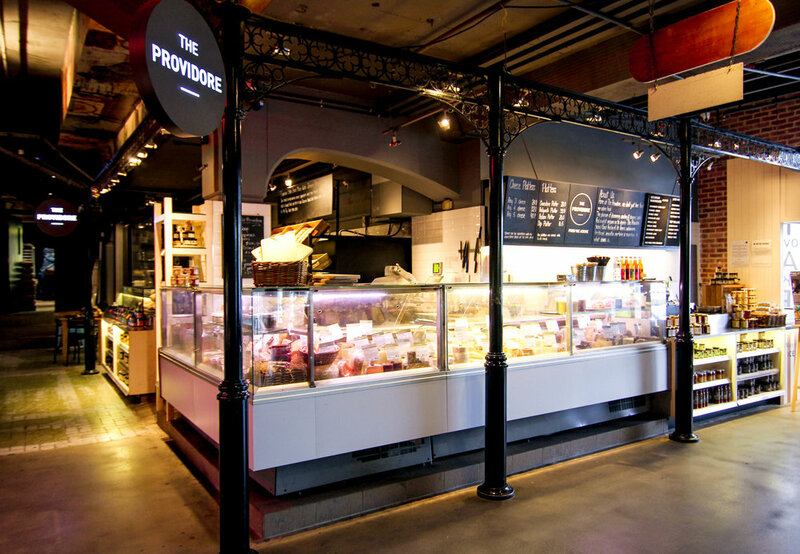 Located in the heart of the PasarBella farmer’s market, The Providore Grocery store brings you 3000 square feet of gourmet ingredients. Our expanded range includes artisanal spirits, boutique wines & pantry staples, a selection of organic wholefoods foods, dairy items, as well as fresh seasonal organic fruit and vegetables. We also host regular product tastings each weekend for our customers to find out more about the items we stock while chatting to our staff about the range. Our Pasarbella retail stores are open from 10am to 6pm on Monday and Tuesday, from 10am to 8pm on Wednesday, Thursday and Sunday, from 10am to 9pm on Friday, Saturday and Eve public holidays. Right next to the grocery store, the cooking studio offers hands on cooking classes and demonstrations conducted by our team of resident and guest instructors. The studio is also stocked with a full range of cooking equipment, baking ingredients and utensils. Every month, we run several baking and cooking classes featuring a wide range of international cuisines and styles, so there is something for everyone. The classes are small and hands on, and the space is also available for private classes or events. For more information on our class schedule, or to make a class booking, click Here.